Chef Bara Pattiradjawane shows a dish of ‘sambal colo-colo’ from Maluku. Chef Astrid Enricka Dhita assists him in making the paste. LONDON – What is the best food for the last, chilly week of winter? According to chef Bara Pattiradjawane, the answer is sambal, the chili paste many Indonesians could not live without. 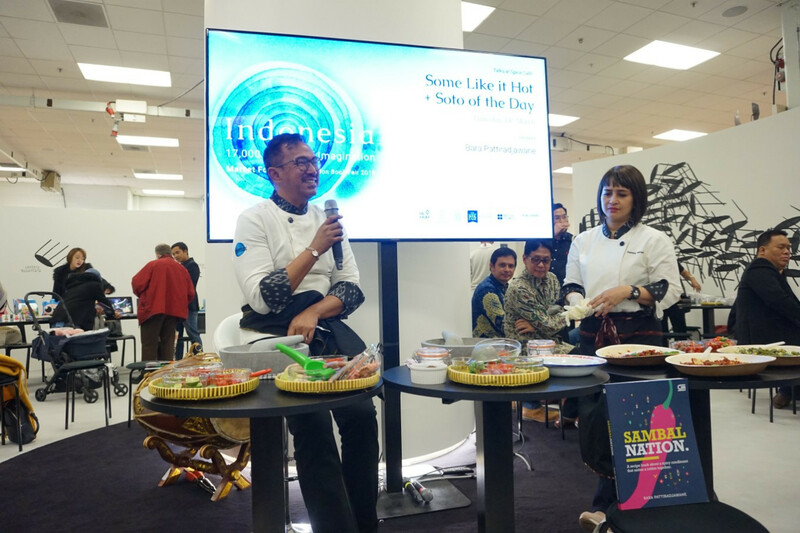 On Thursday, the last day of the 2019 London Book Fair, the popular chef served no fewer than three kinds of sambal at the Indonesian booth aptly named Spice Cafe. Bara is the author of the new book Sambal Nation, a recipe book on the food he calls “a spicy condiment that unites a nation”. Chef Bara Pattiradjawane speaks at a panel during the third day of the 2019 London Book Fair. Culinary expert Santhi Serad helps prepare the ingredients. 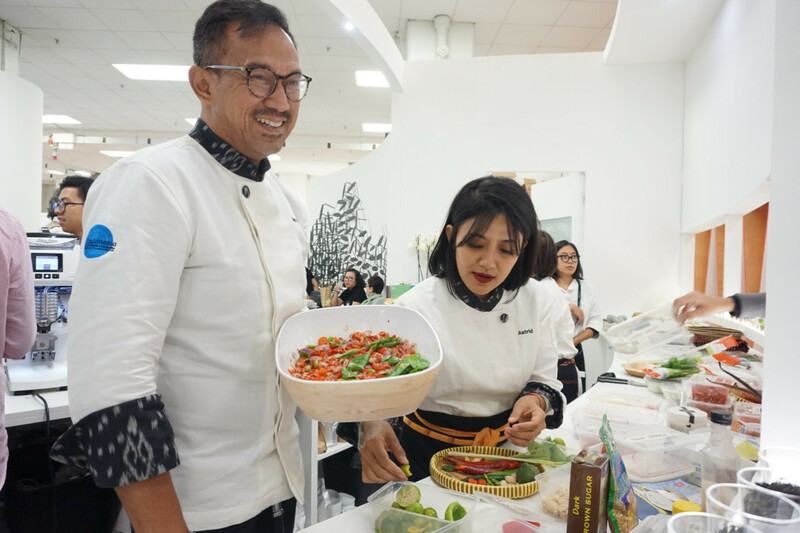 Bara prepared and served three kinds of sambal during the lunch slash panel session, sambal rias andaliman from North Sumatra, sambal dadak from West Java and sambal colo-colo from Maluku, showcasing the complexity and diversity of a seemingly simple dish. Visitors at Spice Cafe tried the sambal with just crackers or with a dish of hot, steaming rice and shredded tuna.